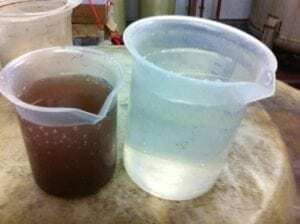 We always aim to make water treatment as simple, cost effective and efficient as possible and this extends to the monitoring and control regime. To support this service, we have a comprehensive range of chemical and microbiological test kits available for you and your maintenance operatives to review the performance of your own systems. 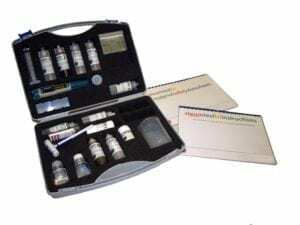 The kits range from basic kits for single test parameters, up to full engineers’ kits and photometers. Full test kits are available for cooling, heating, steam boilers, steam generators, process, waste and other application areas for which regular tests are required by HSG274, BG04 and other codes of practice or standards such as BS2486 and BS8552. Tests are carried out in accordance with the relevant standard and/or regime we recommend or the relevant industry or system standard that applies. Results are recorded and actions are automatically flagged using our Colourcode© System to highlight priority for action. Results are very clear and straightforward to interpret, with reference to easy-to-follow user instructions. Training (both on and off-site), telephone and email support is always available as and when required. Our Deep Water Blue chemical and microbiological test kits give you full control of your own testing process, improving efficiency, reducing cost and saving time. For additional reassurance we always supervise the process, help you to implement remedial action and remind you if tests have not taken place on schedule. Test kits are a key part of our unrivalled customer service package. In order to correctly analyse your system, you must collect relevant and timely data using the correct kits. Incorrect data collected by using poor quality kits, coupled with no training, can often result in system issues or even failures. To discuss your own particular requirements further, please call us on 0870 460 2980.